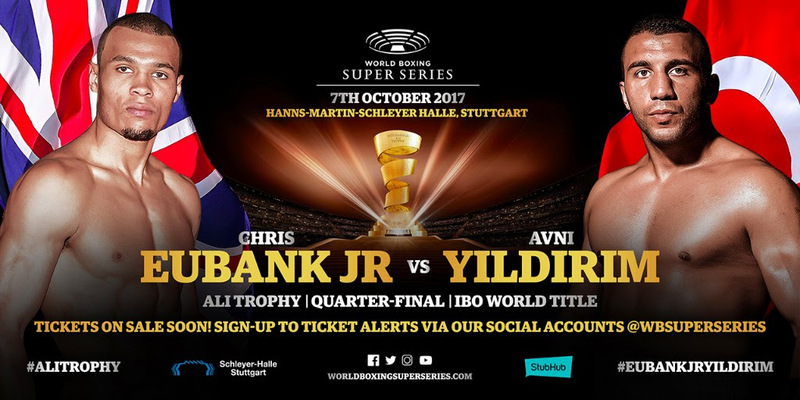 Chris Eubank Jr. (75,8 kg) (25-1, 19 KOs) and Avni Yildirim (76,2 kg) (16-0, 10 KO) made weight ahead of Saturday’s Ali Trophy quarter-final at the Hanns-Martin-Schleyer-Halle in Stuttgart. “I am looking forward to the fight, and I believe I will stop my opponent,” said Chris Eubank Jr.
His Turkish opponent is, however, ready to show he has the ability to enter the world stage. “I am going to make the Turkish people proud,” said Yildirim.